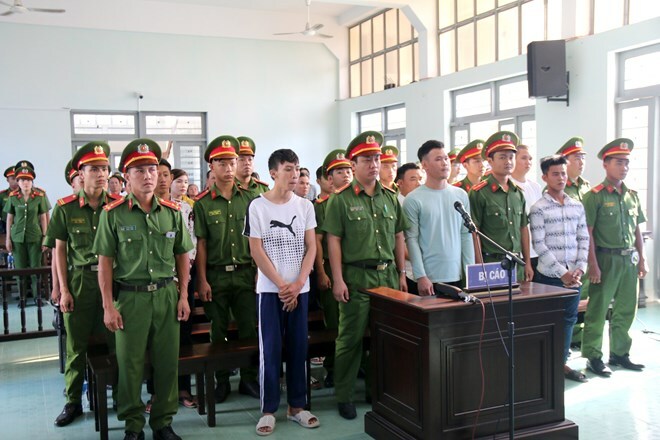 Binh Thuan (VNA) – The People’s Court of the central province of Binh Thuan upheld the first instance trial sentences of between two and three years imposed on 13 defendants charged with disturbance of public order at the provincial People’s Committee headquarters in June 2018. Accordingly, at the appeals court on March 25, the defendants were unable to provide new evidence and as such, the court could not accept their appeals due to insubstantial mitigating factors. The defendants are Le Nhut Ban, Truong Gia Quoc Huy, Nguyen Thi Nham, Do Van Tai, Tran Thi Mai Huong, Do Van Co, Dong Kim Hung, Nguyen Huu Thai, Nguyen Dinh Dong, Pham Minh Tung, Dang Ngoc Hoa, Nguyen Sinh, and Doan Thi Hanh Thuong. They were convicted of “causing public disorder” in accordance with Clause 2, Article 318 of the 2015 Penal Code. The jury at the first-instance trial found the actions of the defendants extremely serious, disrupting public safety and affecting the locality’s political security and social order. Their prison sentences, which were given by the People’s Court of Phan Thiet city in Binh Thuan, were kept at three years for Ban; two and a half years for Huy, Nham, Tai, and Huong; and two years and three months to Co, Hung, Dong and Thai. A two-year jail term was upheld for the remaining defendants. According to the indictment, the disturbance they were involved in began in Phan Thiet city at 4:30 pm on June 10 last year, when a group of people gathered and moved from Phan Thiet market to the provincial People’s Committee headquarters to protest a draft law on special administrative-economic units. They shouted and jostled police and guards of the building and incited bystanders to attack police with bricks and stones. Some even attacked police with homemade petrol bombs, stones, and other tools, going on to destroy the fence and burn the sentry box and several rooms of the sentry force. They also damaged the fence around some other provincial agencies. Traffic near the administration’s headquarters was disrupted, while several facilities were damaged. Police were sent to the site and the crowd only began to dissolve at midnight the same day.